Ever-fascinated by burgeoning U.S. wine regions outside of Napa, I've been hearing an escalating hum about the wines of Washington State. The Pacific Northwest has started producing some rather interesting vinos, and it seemed about time to take a trip to the other coast to see it for myself. The destination was Walla Walla, Washington, about four and a half hours outside of Seattle. 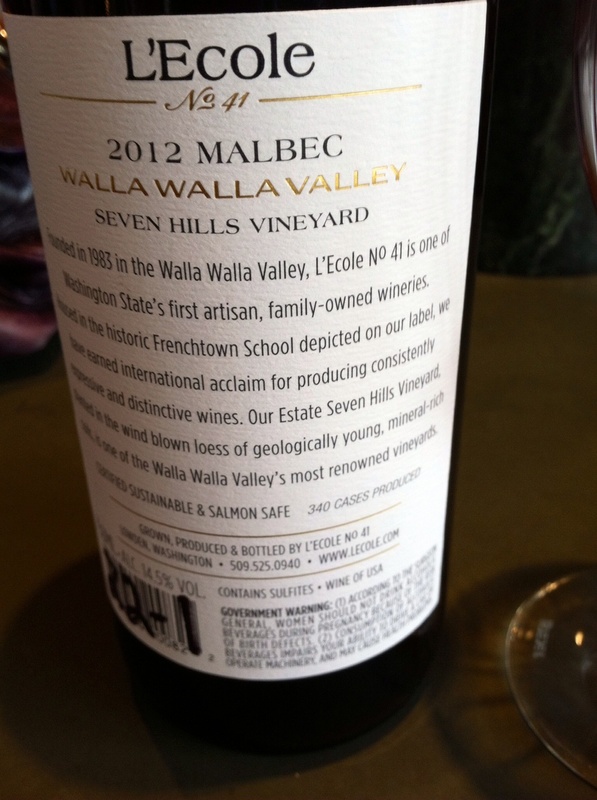 (And you'd better believe I had a lot of fun with the alliteration of "Wines of Walla Walla Washington. Try saying it 5 times fast, especially after a couple of glasses of the juice). Walla Walla was granted AVA status in 1984 and has continually strived to excel in viniculture. It's an eclectic place, with elevations ranging from 400 to 2,000 feet above sea level. And while everyone associates Seattle with constant rain, there are very distinct rainy seasons once you get out to wine country. The terroir is also a hodgepodge of soils, giving different characteristics to the grapes. When visiting some of the wineries, I found many grow their grapes in various locations around the state to take advantage of the distinct terroirs. Washington wines tend to lean towards Bordeaux blends and single varietal Syrahs but as I learned, there's a whole Old World grape reinassance, such as Italian and Spanish varietals, happening over there, too. I was picked up by Sharon of Bella Fortuna Events on a drizzly Thursday morning (I guess I arrived during the rainy season). The first stop was L'ecole 41, one of the original founding wineries in WA state, whose charming tasting room was a converted French schoolhouse. 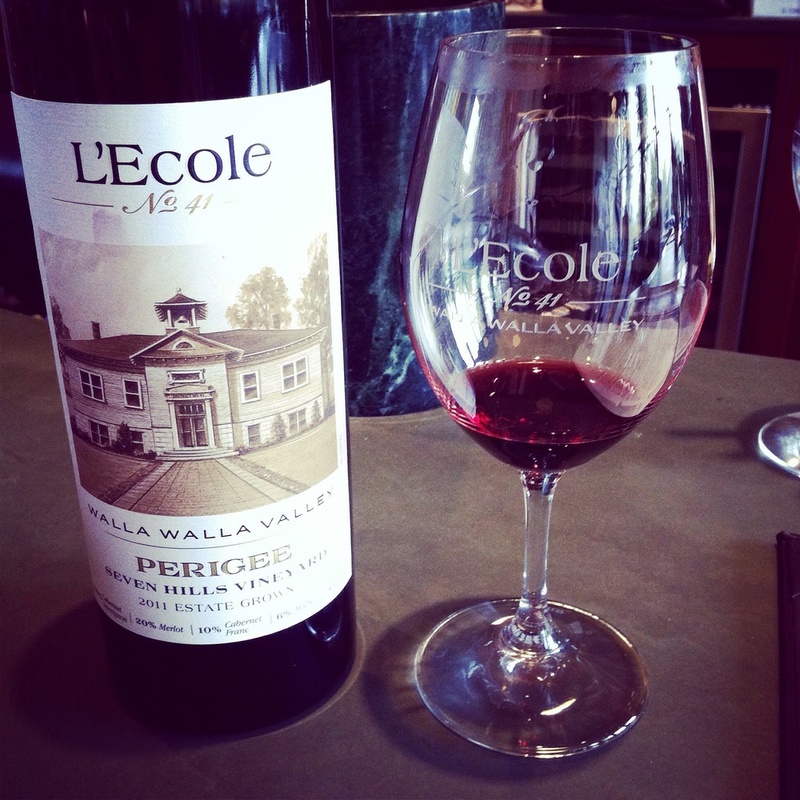 I was impressed with all of the wines, but the L'ecole 41 Perigee, 2011 was particularly impressive. The Bordeaux blend showed deep blackberry, blueberry and plum fruits along with spice and medium tannins. A bit of tobacco and ash also came through on the end and it was very apparent this wine would age well. L'ecole 41 Perigee. Photo by Shana Sokol, Shana Speaks Wine. The Malbec was also noteworthy and married lush fruit with a structured restraint that kept it from being a total berry bomb. L'ecole 41 Malbec. Photo by Shana Sokol, Shana Speaks Wine. Located next door, Woodward Canyon was also a noted winery in the region. I liked everything well enough, but my curiousity was piqued with the Estate Barbera, 2012. While not as earthy as Italian Barberas, nor nowhere near as acidic, it was a riper fruit style that was a unique expression of the grape. I also enjoyed their Merlot; while it was fruit forward and plush, there were enough tannins to give it structure and backbone, unlike the limpid Merlots that are often found with New World production. Woodward Canyon's tasting flight. Photo by Shana Sokol, Shana Speaks Wine. Woodward Canyon's Barbera. Photo by Shana Sokol, Shana Speaks Wine. Unbeknownst to me, Walla Walla is located just a few miles away from the Oregon border; the Walla Walla AVA is actually comprised of 2/3 Washington State land and 1/3 Oregon land. 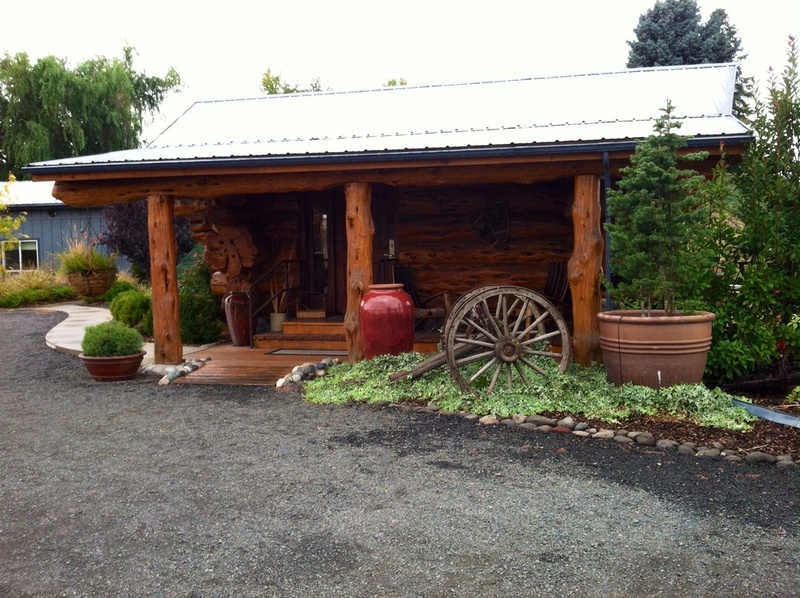 We crossed over to visit Zerba Cellars, a small producer with a rather large portfolio. Zerba Cellars' tasting room. Photo by Shana Sokol, Shana Speaks Wine. For whites, I was taken by their Wild White, 2013. This wine contained a whole potpurri of white grape varietals: 25% Chardonnay, 25% Semillon, 20% Riesling, 13% Viognier, 13% Roussanne, 4% Marsanne. It sounds like chaos but it drank beautifully. 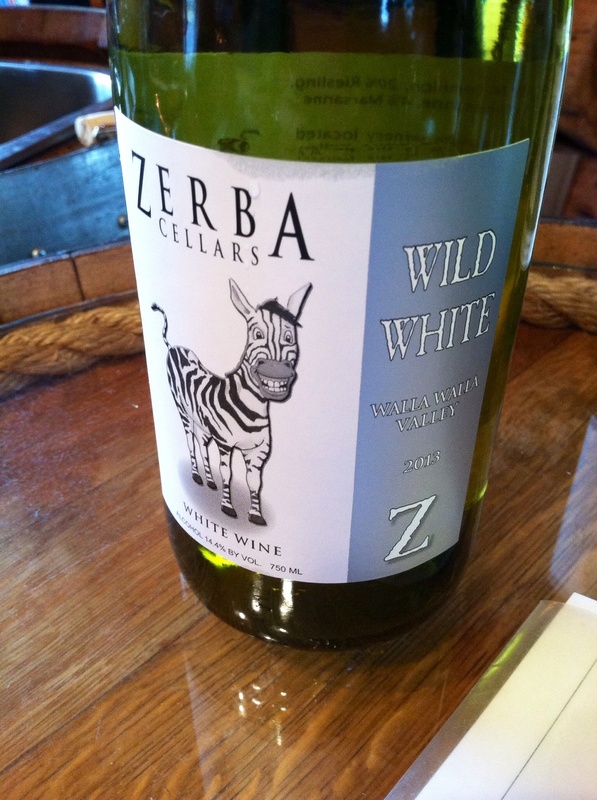 Zerba Cellars Wild White. Photo by Shana Sokol, Shana Speaks Wine. For reds, along with the traditional international big boy varietals, such as Cab, they are experimenting with Italian and Spanish grapes, such as Nebbiolo and Tempranillo. The Estate Nebbiolo, 2011 (80% Nebbiolo, 20% Sangiovese), was rather lighter in body than its Italian brethen and almost feminine in its floral nose. Barolo-style this was not, nor was it even akin to a Barbaresco. Again, this lacked the acid that Italy is known for and I equated it more to a Burgundy Pinot Noir than anything else. Of course, the marriage of Italy's most famous northern and southern grapes gave me pause; it's like Romeo and Juliet in a bottle. The Tempranillo, 2011, fared a bit better as the spicy and savory characters of licorice and tobacco balanced nicely with the deep blackberry and tart cherry fruits. Zerba Cellars Tempranillo. Photo by Shana Sokol, Shana Speaks WIne. The next stop was at Saviah Cellars, where they had a Pinot Noir, 2011, that was prominent in the fruit. The Laurella, 2009, in contrast, was a unique blend of 60% Sangiovese, 20% Cab Franc and 20% Merlot. This was Walla Walla's answer to a Super Tuscan. However, I was most impressed with their Syrah, 2010, with a balance of fruit and spice. Saviah Cellars Pinot Noir. Photo by Shana Sokol, Shana Speaks Wine. 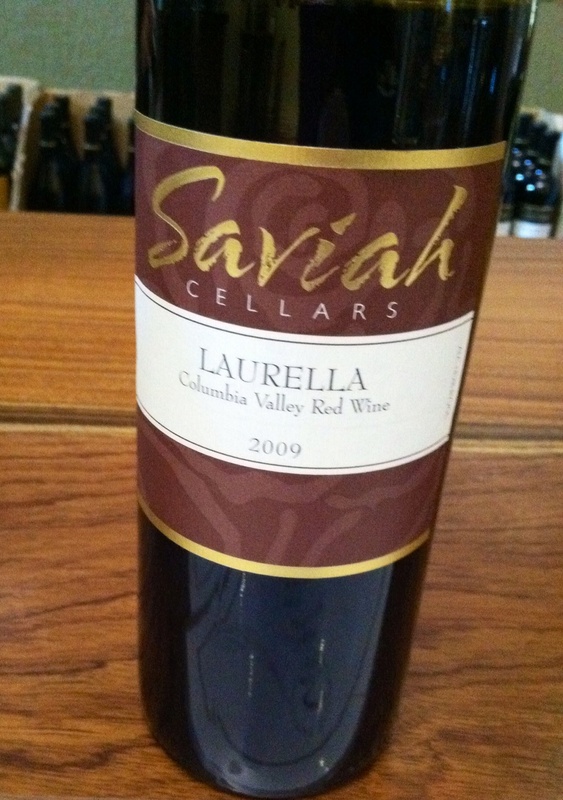 Saviah Cellars Laurella. Photo by Shana Sokol, Shana Speaks Wine. The day ended with a much-anticipated trip to Gramercy Cellars. As expected, everything was spot on. The Third Man, Columbia Valley, 2011, a Grenache/Syrah/Mourvedre combo that held true to a Rhone blend. Meanwhile, the Syrah, Columbia Valley, 2012, was a great balance of fruit, spice and savory elements such as ripe raspberry, pepper and tobacco "The Duece" Syrah, Walla Walla Valley, 2012, in contrast, showcased more tannins, structure and earthiness than the Columbia Valley Syrah. 80% of the grapes were fermented as whole cluster (meaning you get more of the stems in the winemaking process), resulting in a wine with a more tannic backbone. We finished on the "Inigo Montoya" Tempranillo, Walla Walla Valley, 2011. Technically 90% Tempranillo, 6% Syrah and 4% Grenache, the winemaker explained they now hold the wine for an extra 6 months to give it more of a Reserva style rather than Crianza, so the aging notes of leather and tobacco have more time to develop.